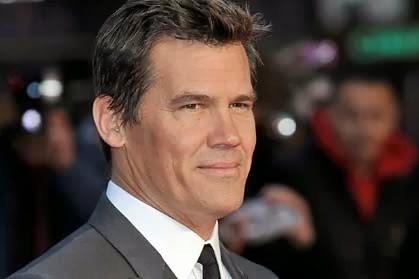 Josh Brolin in London last month. O’Brien’s Irish Pub and Restaurant in Santa Monica, CA is getting lots of free advertising around the world thanks to Josh Brolin, the likable actor who seems to have major issues with alcohol. TMZ cameras, of course, were there to film a stuttering, barely standing Brolin trying to fight a bouncer last Friday at 2 am. O’Brien’s was ready to close, but Brolin wanted to continue the party. Brolin, 45, was clearly out of it and would never have been able to defend himself. The kindly bouncer tricked the star into thinking they had been pals earlier in the night, so Josh gave up and hugged it out with the guy, who then tried to get him a cab. O’Brien’s “has been around since 1995, proudly serving a great range of brews, whiskeys and spirits as well as fine Irish and American cuisine,” its website says. Brolin must have had waaaay too much of the former, and not enough of the latter. It’s not the first time he’s found himself in booze-related trouble. A few years back he pulled the same stunt at Louisiana bar, and he ushered in 2013 with a public intoxication citation.